Okay, we are now in Medellin. Behind on our blogging again and with some prompting from our really great new friend, Salvador in Bogota to get busy, I am at work. This our route up to date. Cartagena is the first city we arrived to in Colombia. COOL, cool, super cool city! So interesting from the Cities history to the buildings to the wall that surrounds it. I won’t go into the history of why the wall was built, but it is a quick read in Lonely Planet and very interesting. Everyone from the Stahlratte, one last time! We met in Panama and now in Cartagena! We stayed outside the walled city in Bocagrande. A good long walk or a quick taxi. Due to the intensity of the heat, we did a bit of both! 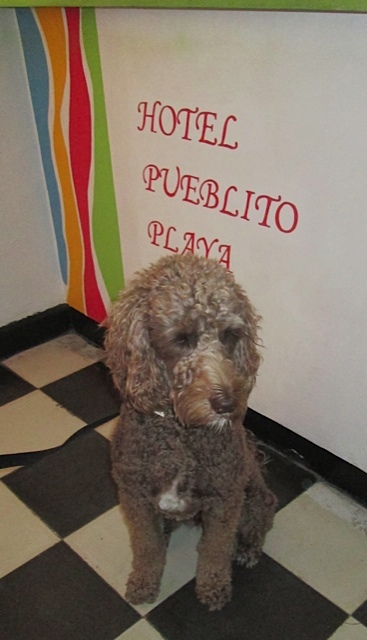 We stayed in a great old (budget friendly) hotel above a mall called Hotel Pueblito Playa. The owner, Brian was so accommodating and helped us with anything we needed. Before we even got checked in, Brian brought Bentley a big ol bowl of water. The hotel was a work in progress, but clean and we had a great breakfast every morning. 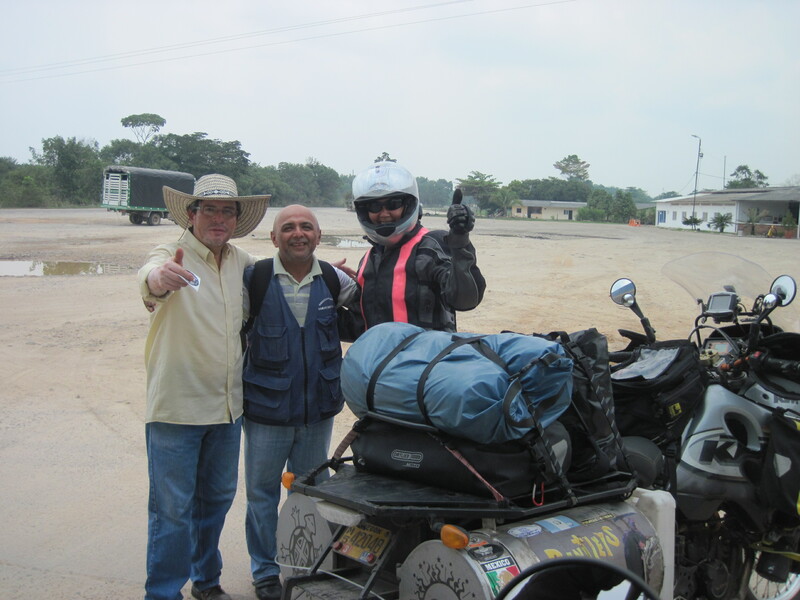 After a few days we moved out of the busy city to the base of the Sierra Nevada Mountains to Paso del Mango. The road to get there was a bit hairy the last 100 meters. 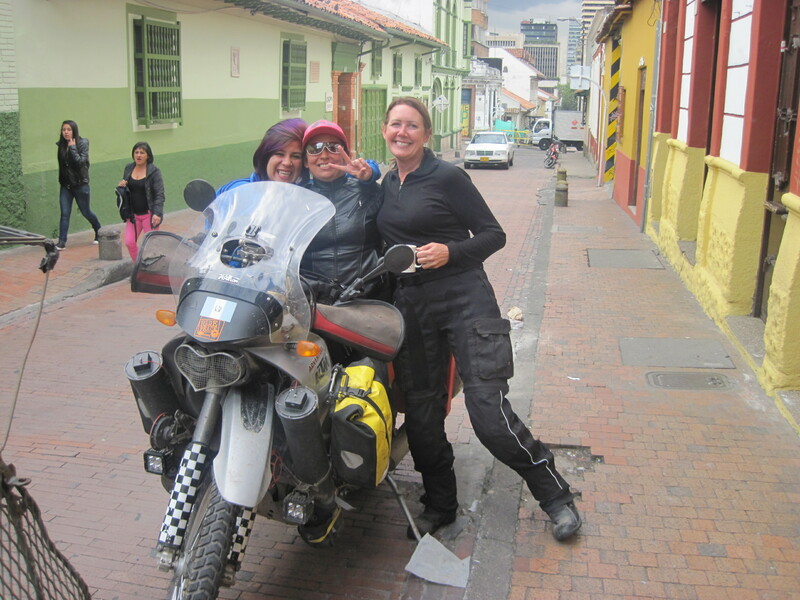 In Colombia, they have “moto taxis”, which is a little motorcycle that you get on the back of and they take you on all the roads that a vehicle can´t go on. It´s pretty genius! It turns out that they have them in many towns and cities in Colombia. We arrived at a wonderful, most peaceful, most relaxing place called Ecolodge La Bonita. This is where we had the BEST food of our trip so far. The owners were gourmet chefs and we were graced with their great food, delicious wine and fresh colombian coffee delivered outside our door every morning. It was so hard to leave! 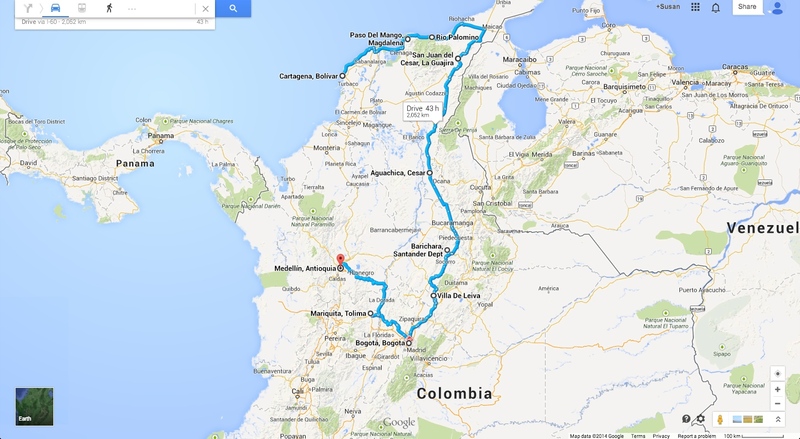 We had one more stop in the Northern part of colombia before heading South. We needed to get to the beach, one more time! We were told about Finca Escondido. It was not a farm but a hostel on the beach. They offered camping and for the first time since Belize, we set up our tent. It was a pretty nice place until the second night they had a band play from 10pm until 3am. That was a rough night! 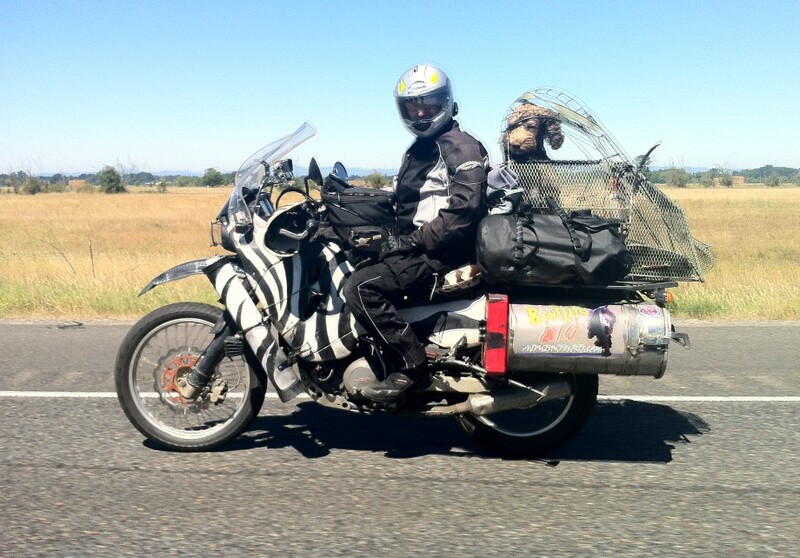 Needless to say, we left the next day.